Laundry is one of the chores I hate doing, especially this time of year, when I can’t utilise the washing line anymore. We have a pretty small kitchen, and we only have a washer dryer. If you also own a washer dryer, you know how pants the dry function is. This means in the winter there’s constantly an airer somewhere in the house, covered in clothing. I feel like I have a load of laundry to do every day. Who knew little people could make so much washing?! So with this in mind, I always look for a laundry detergent that smells good, but is also good on the skin. 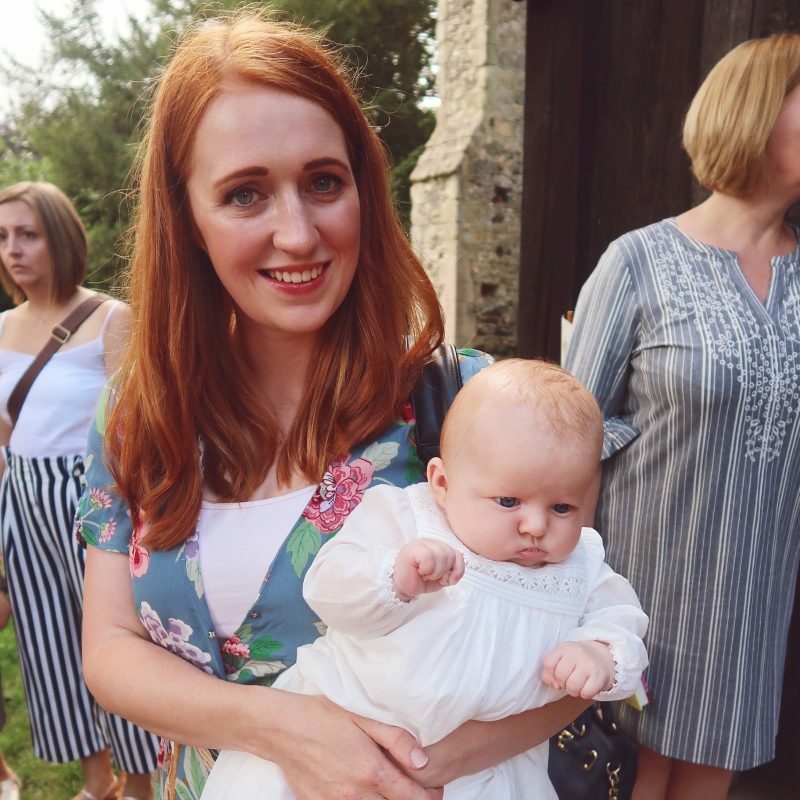 Both Oliver and I suffer with eczema, and I have found over the years that certain laundry detergents irritate it more than others. 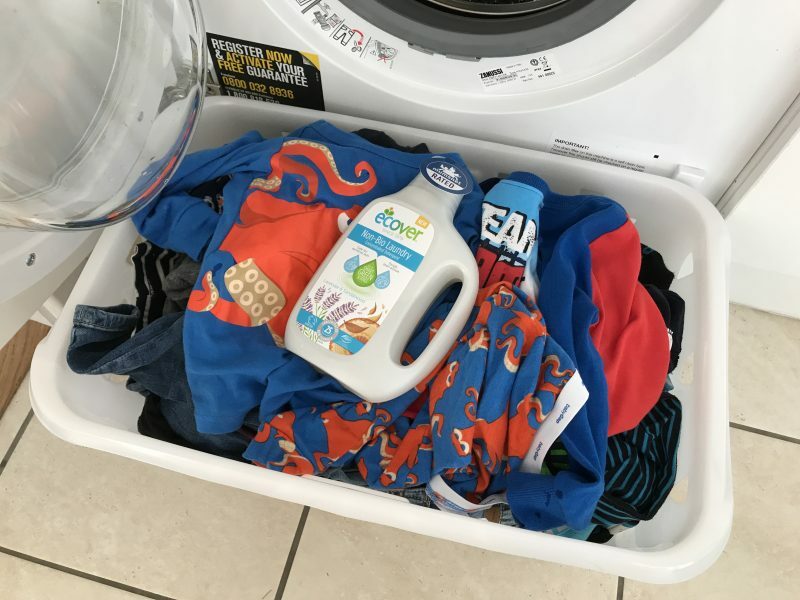 I’ve recently been trying to use more natural, plant based detergents. My most recent discovery was Ecover’s new Non-Bio Concentrated Laundry Detergent, in Lavender and Sandalwood. It smells absolutely divine! My favourite thing about freshly washed clothing and bedding is that freshly cleaned smell. I love it when you walk in the house and you can smell fresh washing. It makes everything seem to clean! I think it’s something I always notice when I go to someone else’s house. I know that I always have associated my godmothers house with the smell of her laundry detergent! One thing I love snuggling up in a fresh bedding as well. I think I always sleep better when it’s fresh! 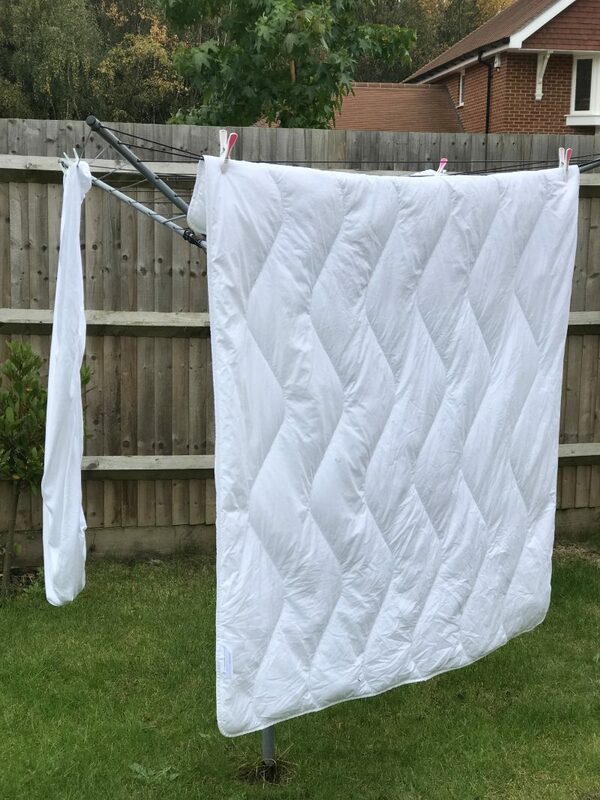 When I hung the washing out after using the Ecover non-bio laundry detergent, the room smells really fresh straight away. If you are looking for something natural and kind on the skin, then look no further! It works just as well as any other non-bio detergent you find on in the washing aisle, without all the chemicals. 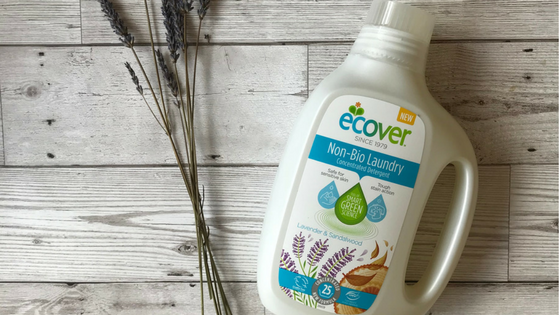 Another good thing about Ecover is that they also do a non-bio, bio and colour laundry detergent and they also have some delightfully scented fabric conditioners.